Lisa and I went down to Colorado Springs for a little holiday joy and while on route we stopped in Castle Rock to check to see if the museum was open. We were in luck and got a nice private tour of the inside and learned where this D&RGW Depot once stood before it was moved. 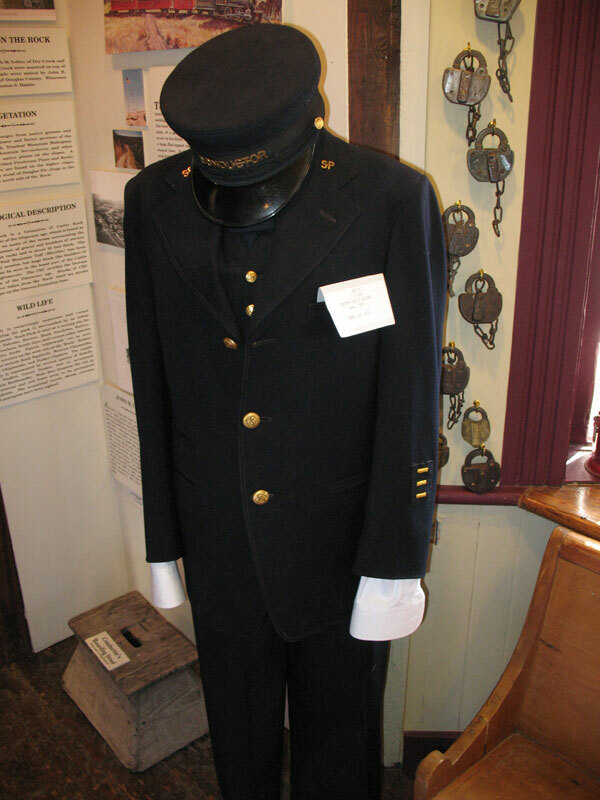 The new Georgetown Loop Railroad operator is truly getting things turned around. Besides getting Steam running again and understanding that certain engines can only pull so much, they also have began a new concept; Winter Operations! 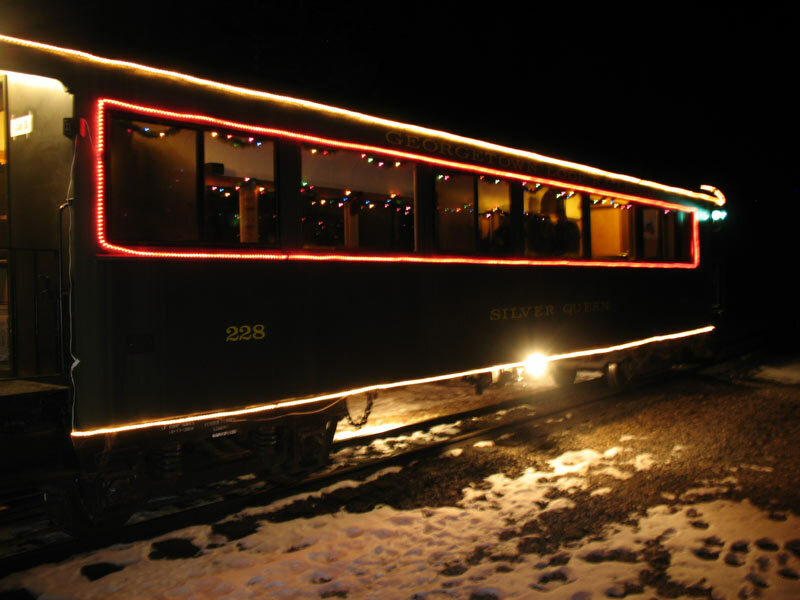 This Holiday Season they have lashed up there new large Narrow Gauge Switcher with three (3) heated coach cars, lighted them up, running them at night, and severing dinner. It was a great trip!